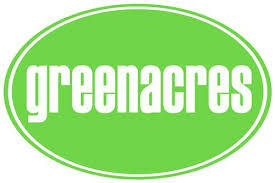 Greenacres, I will miss you! As everyone knows, this is the end of the year. That means all fifth graders are ready to move on to SMS. There’ll be a moving up ceremony on 6/14/2018, and a fifth grade party the week after. I know that everyone in fifth grade will miss GA, but is excited to move on as well. I just hope that some fourth graders will still hold up the media club. I hope that I can visit GA whenever I have time. GA has been almost like a second home to me for all of the six years I’ve been here. I hope that in 60 years media club will still be going on. Calling all fifth graders in Ms. Cooper’s class last year! 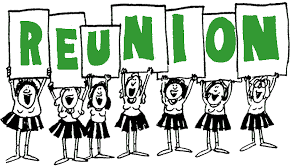 Tomorrow Thursday, May 31st) we are having a reunion during lunch/recess! Please come if you were in her class last year! See you there! Chronicle Chris Reporting For Duty! I’m Chronicle Chris, the guy you can ask about your problems. Well I hold the answer. One solution is to get your friends together and have both of them join you at one table. Another thing you can try is asking your friends if you can work a schedule between you and them. For example on Monday, Wednesday, and Friday and you can sit with one friend, and on Tuesday, and Thursday. The next week you can switch the schedule around. 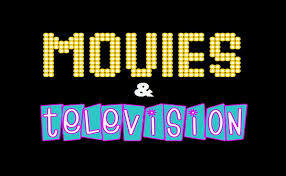 Fave Movies And TV Shows! Here are our top 50 movies and TV shows! IT- a great horror movie! Happy Death Day- another amazing horror movie! Stranger Things- my personal favorite! Riverdale- an amazing thriller, definitely recommend! Why Him?- a comedy classic! The Greatest Showman- LOVE IT! High School Musical- everyone’s childhood go-to movie! 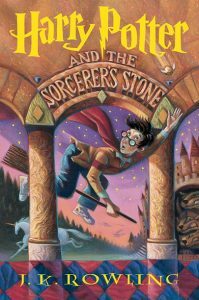 Harry Potter- one of my faves! Yay! There are no more state tests for the rest of the year. Fifth graders will never take an elementary state test again! 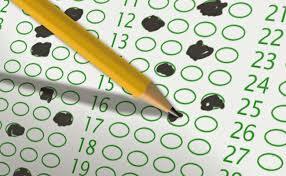 The third, fourth and fifth graders across the state have been taking state tests. Back in April, they took the ELA test for two days and in May they took the math test that was also two days. The fourth grade still has two days of science coming but the third and fifth grades are done, for the year at least. SUMMER! Ahhh, just that word makes me happy. 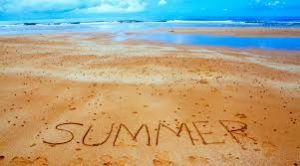 What are you doing over the Summer? A lot of kids go to sleepaway camp, including me. Some people go on exotic vacations, like Bora Bora or Paris. It seems so cool! Summer is awesome. Relaxing in a pool, on a floatie, sipping a daiquiri. I can’t wait until Summer! Need a book? Here are some books that we love! Stuck without a good book? Here at the Greenacres groove, we have a few suggestions! I hope this can help find you a good book that you can’t put down. Happy Reading! Chronicle Chris And Little Miss! I think you should try talking to your friend. If she still ignores you, try talking to Dr. Smajlaj. She could try helping you and your friend. If that doesn’t work, try making other friends. Your friend is clearly pushing you away. If she doesn’t want to talk to you, she is not going to open up if you try to make her. We would like to know that the Media Club (the makers behind the Greenacres Grooves) is needing new members. As you know the only members in the Media Club are fifth graders. This means that we’ll be graduating very soon. So, we want to recruit some fourth graders. This May we’ll start having some sessions with fourth graders. So, be ready to start blogging! Picture this: Everyone pushes and shoves into the lunchroom, only to discover that it’s “Taco Tuesday.” As you line up to get the so called “Tacos”, you get a whiff of the meat, everyone gags. What is in that? That is the question I have been trying to answer. After some research, I have found out that it is not food. It is what I call, “Things That Happen To Be Edible.” There is no proof that it is food. Thank you for letting me rant about the school lunch. Spring break is only a few days away. It starts on Friday March 30, 2018. There is no school for a week and one day. Some people are going away on vacation. You might be going to a cold place to ski or snowboard, to a warm place to go to the beach, or to visit some family. Also, you might be staying home for the break. During this spring break Passover and Easter will take place. Have a fun spring break!!! See if you can answer 7 Incredibly Creative Riddles. What always runs, but never walks, often murmurs, never talks, has a bed, but never sleeps, has a mouth but never eats? I never was, am always to be. No one ever saw me, nor ever will. And yet I am the confidence of all, to live and breathe on this terrestrial ball. What am I? What is in seasons, seconds, centuries and minutes, but not in decades, years or days?